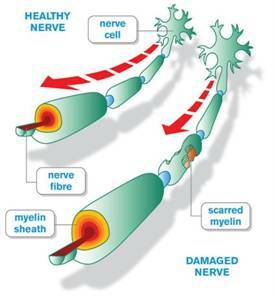 – Nerve fiber scarring and progressive disability. Is a consequence of continual demyelination and remyelination, which can affect physical and cognitive abilities. Symptoms, progression, and severity vary fromperson to person. – MS typically diagnosed in young adults between age 20 and age 40. Women are twice as likely to develop MS than men. 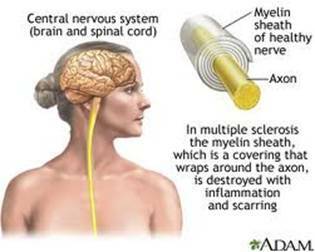 – MS is not considered fatal and those diagnosed commonly have unaffected life spans. ~400,000 people in the U.S. have been diagnosed with MS.
Stealth Pathogens. Book by Lida Mattman to see the evidence for Borreli causing M.S. Only two pages reference M.S., but the book is a wealth of information on the type of bacteria which causes M.S. Wellness Secrets For Life. Book by A. True Ott, PhD. Has a list of minerals that can be used to repair damaged myelin sheath. The China Study. Has a chapter on autoimmune diseases, which includes a section on MS. This study found a very high correlation between milk and the occurrence of M.S. Wellness Secrets For Life - An Owner's Manual For The Human Body. By Dr. True Ott, PhD of Mother Earth minerals. This book has the best list of minerals for rebuilding the myelin sheath (Pg. 123).